Attorney B. Elaine Jones provides legal representation to those who have been injured, physically or psychologically, as a result of the negligence or wrongdoing of another person, company, government agency, or other entity. Attorney Jones handles Tampa Personal Injury cases such as automobile and other accidents, defective products, medical mistakes, slip and fall accidents, wrongful death and more. Attorney Jones believes it is her ultimate professional responsibility to help her clients obtain the justice and compensation they deserve for their losses and suffering through her advocacy, oral arguments, client counseling and legal advice. 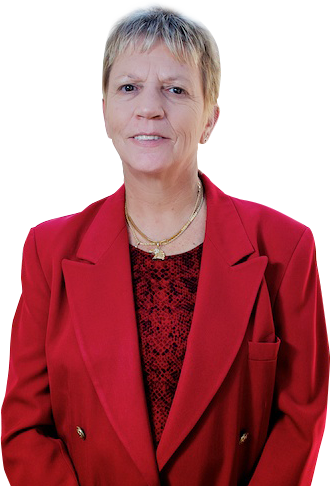 Attorney Jones is a solo practitioner who offers her clients more personal attention and a one-on-one working relationship between the attorney and the client that cannot be matched by the huge Tampa Personal Injury mill firms. Attorney Jones will help you get medical care if you have not been seen by a medical provider and will make sure that you are at your maximum medical improvement from your injuries before even thinking about settlement. Most Personal Injury mill firms turn their cases around in a short time, but many injured parties are not even done with their treatment nor has a permanent disability rating been determined when their case is being pushed to settlement. This can leave the client with untreated injuries and potential future medical problems that will not be covered by insurance and will be the responsibility of the injured party if a settlement is prematurely reached. Attorney Jones will make sure that you receive all the medical treatment necessary to get you back to your pre-injury status or until you reach a point of maximum medical improvement and are compensated for whatever permanent impairment you have sustained. The most commonly thought of personal injury case involves automobile negligence. However, you might be suprised to find out that most accident and personal injury claims do not involve the use of an automobile. Essentially, personal injury cases involve a person who is injured by the negligence of another party usually a business of some sort. These type of personal injury claims include, slip and falls, premise liability, negligent security, dog bites, and faulty or defective consumer products. Some of the most common offenders are businesses like Wal-Mart, Sam’s Club, Home Depot, Lowe’s, Dillards and Publix. Most of these businesses rarely will accept responsibility for their negligence. They will typically respond to an injured party by offering them a small compensation for their injuries before the party even knows what their injuries are, or they totally ignore them and force the injured party to sue. The Law offices of B Elaine Jones & Associates, P.A.